NAS manufacturers are hitting the home theater enthusiast scene pretty hard. ASUSTOR has joined the charge and thinks they have a NAS that can steal the spotlight. They are packing as much as they can into these powerful little boxes and people are eating it up. ASUSTOR impressed us with their AS-608T; can they keep up the good work with the AS-302T? With a claim of “A perfect union of hardware and software”, you have to ask yourself what ASUSTOR has packed inside a box that measures only 163.5mm x 108mm x 230mm and weighs only 4.12lbs. 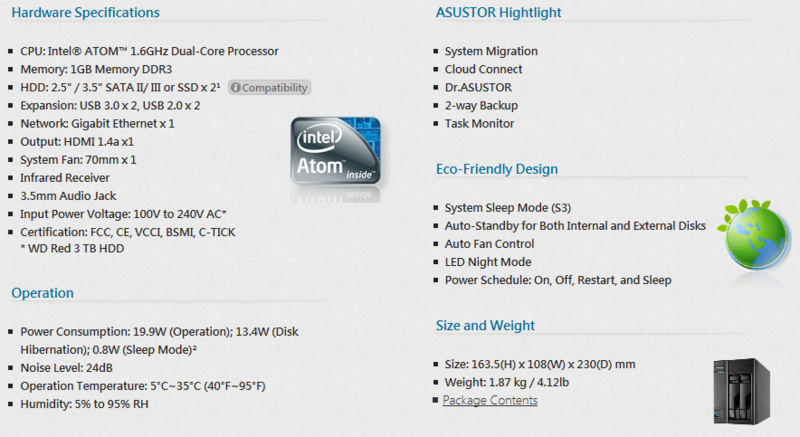 The AS-302T is powered by an Intel ATOM 1.6GHz Dual-Core Processor and teamed up with 1GB of DDR2 RAM. There is one HDMI 1.4a port, a 70mm cooling fan, 2 x USB 3.0 ports, 2 x USB 2.0 ports, and one Gigabit Ethernet Port. There is even an Infrared receiver built in for the optional ASUSTOR remote control. The AS-302T supports Single Disk, RAID 1, 0, and JBOD. With the introduction of the AS-302T, ASUSTOR marries a Full HD (1080P) multimedia solution together with an storage. Having the ability to directly connect to your TV, control with an IR remote, and act as your storage device makes the AS-302T a versatile multimedia appliance. 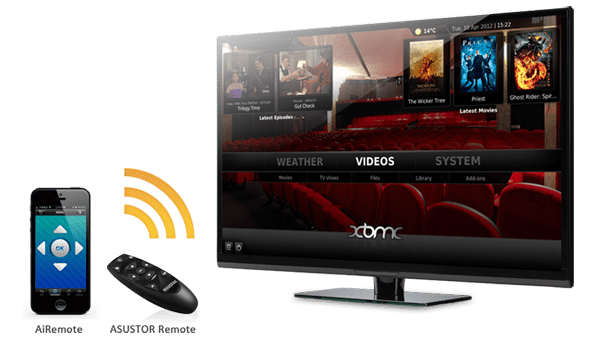 The feature list of this NAS includes a UPnP Media Server, iTunes Server, and a couple of other front end applications like XBMC and Boxee (available through the ASUSTOR Portal Application). ASUSTOR didn’t leave mobile users wanting. With applications like AiMaster, AiData, and AiDownload, you can enjoy and control many aspects of the NAS while on the move. Although these aren’t unique to the AS-302T, they really enhance the user experience. 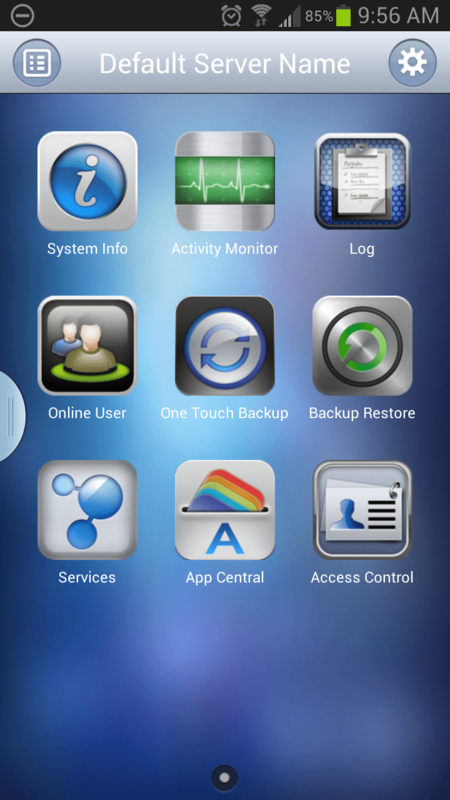 AiMaster is dedicated NAS management software for your mobile device. No matter if you are an individual user or IT administrator, AiMaster lets you conveniently manage your NAS while its comprehensive support for push notifications ensures that you stay up to date with the status of your system. 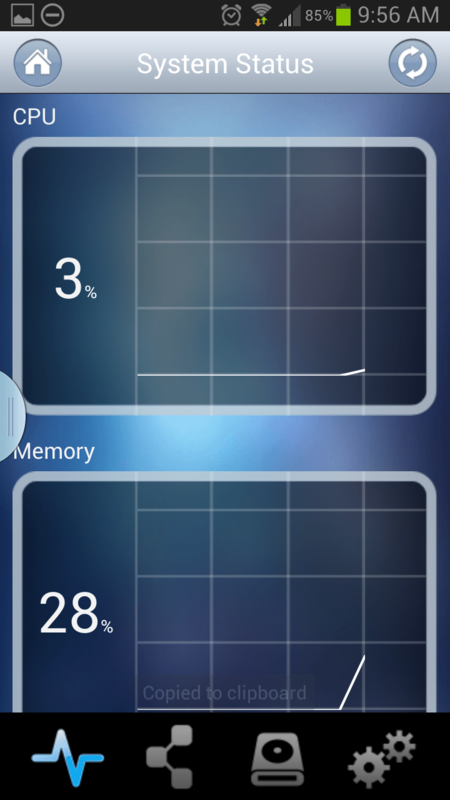 AiMaster has to be the best mobile NAS management application I have used yet. It brings the NAS UI to the mobile platform better than the competitors do. AiData lets you safely browse and access all the files stored on your NAS from your mobile device. Additionally, it allows you to stream multimedia content and view photos from your NAS as well as providing integration with Dropbox that gives you easy data management across the cloud. 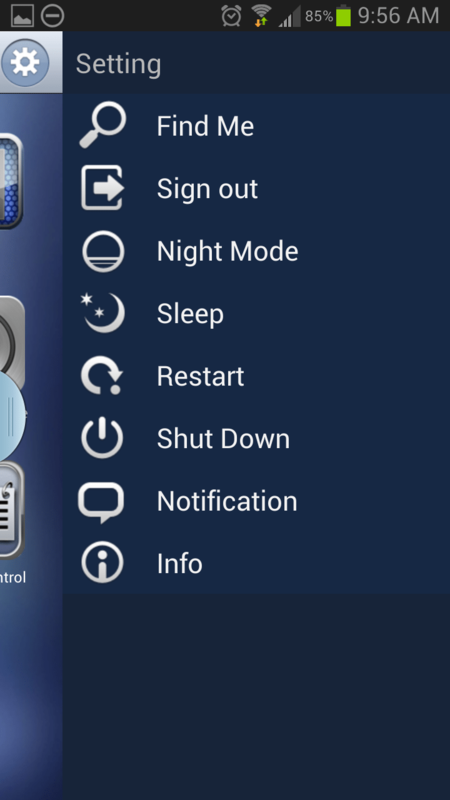 Use your mobile device to control Download Center on your ASUSTOR NAS. Whether it’s searching, downloading or managing tasks, AiDownload gets it done in the blink of an eye. Furthermore, when your downloads are completed, your mobile device will receive immediate notification. 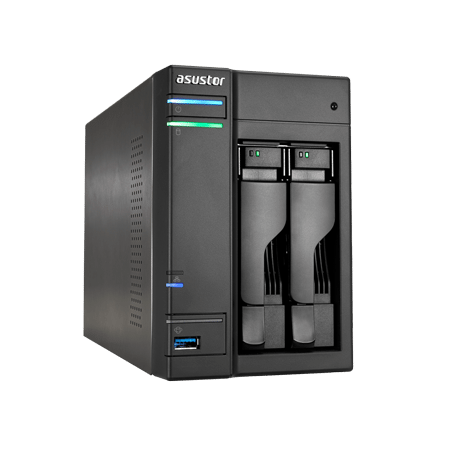 ASUSTOR has become one of my go to manufacturers for NAS. They have made some great NAS at some very affordable prices. Naturally, as time goes on, components are less expensive for consumers and for manufacturers. This allows NAS makers to pack more power into their storage appliances without increasing costs. In some cases, we are finding more powerful NAS at lower costs. To compliment this decrease in costs, production ramps up, R&D ramps up, and product enhancements increase. Ok, the point of all that? 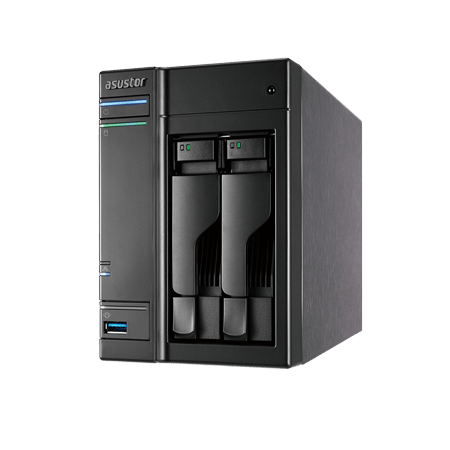 ASUSTOR has released a new 8-bay NAS, gave it more power, slapped a new name on it, and... lowered the cost. Enter the AS5008T. Asustor's AS-302T is a great NAS for those on a budget. It offers tons of features and performance. The multimedia experience is excellent and the NAS is easy to configure/maintain.